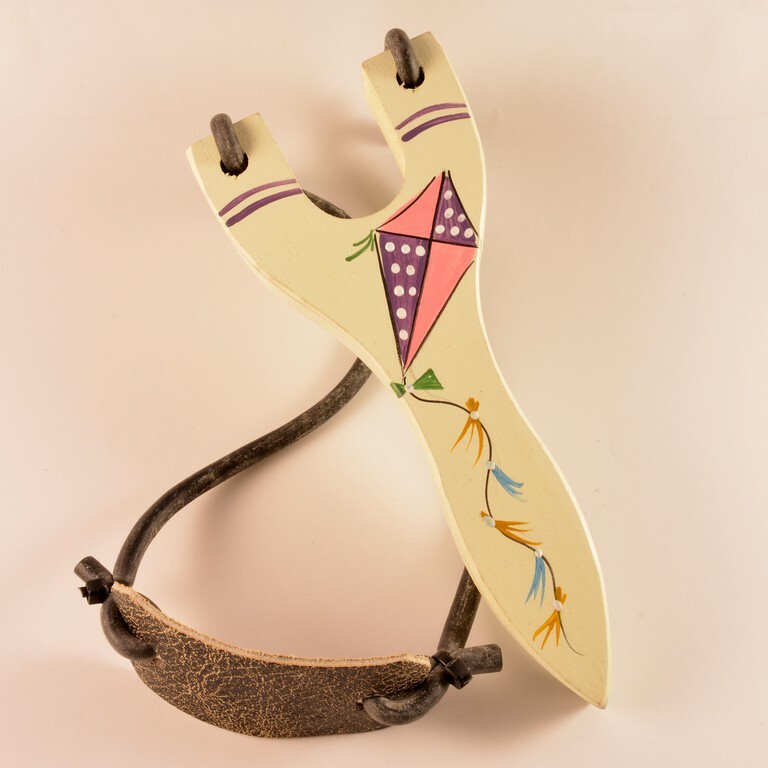 Wooden decorative slingshot in white color with drawings. It can be used as decorative item on an easter candle. Dimensions (14x6.5cm).